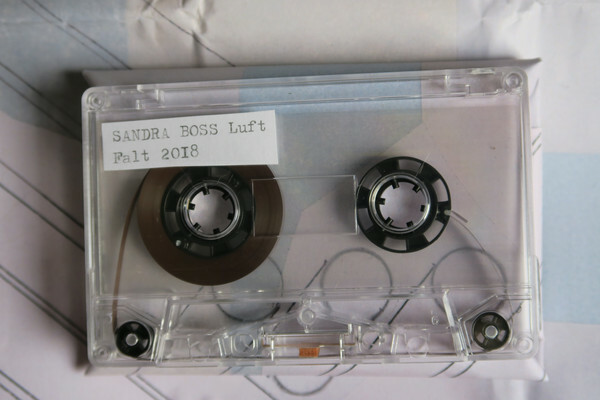 Copenhagen based sound artist Sandra Boss released a tape in an edition of 40 copies called Luft, which contains two recordings of MIDI controlled pipe organ music. Why is the tape called Luft? Is it simply because of pipe organ blowing air through metal pipes? Yes. That is the short answer. I have always been fascinated with the role of the air in this instrument, as it has the final power on the character of the sound. The sound can change dramatically according to the supply of air available. My exploration of the organ departs from an exploration of supplying the organ with different amounts of air in different intervals. However, the title for this tape occurred as I listened to the first two tracks, where I really sensed a “breathing” of the instrument. The first track consists of a heavy breathing, or a deep exhale maybe, and the second track is more like a quick breathing, almost like hyperventilating. I know what a pipe organ is, but what is a MIDI controlled pipe organ? A MIDI-controlled pipe organ is just a pipe organ that can be controlled through the use of MIDI technology. I have hooked the organ up to a MIDI-keyboard and a MIDI-sequencer which has allowed me to construct sequences that I could repeat, layer and vary in many different directions. On your tape, the pipe organ doesn’t sound as what I expect a pipe organ is supposed to sound like. Why not? The reason why it might not sound as a conventional church organ is primarily because it is a small organ consisting of only two different types of pipes, thus it has a much smaller timbral material available. Furthermore, the MIDI-technology again has allowed me to explore the organ in whole new paths, as I have been able to construct structures that would be impossible to play for a human performer. Finally, I have tried to explore the organ as a simple sound emitter. I have not been concerned on playing decidedly tunes or melodies, but rather emphasising structures and layers. You mention Luft is recorded on a lo-fi Ferro cassette. Does this matter to you? 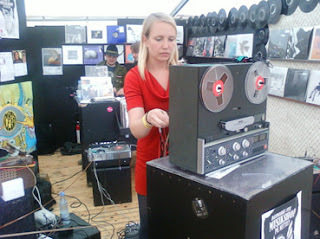 Is the sound of the tape part of the sound of the recording? And why do you prefer lo-fi tape? Why did you choose for low fidelity? Is the pipe organ you used in a church? Because it sounds like that, there seems to be a lot of natural echo. It is not in a church! This is actually a part of the essence of using this organ, as it is a small mobile organ that allows me to perform wherever I want. 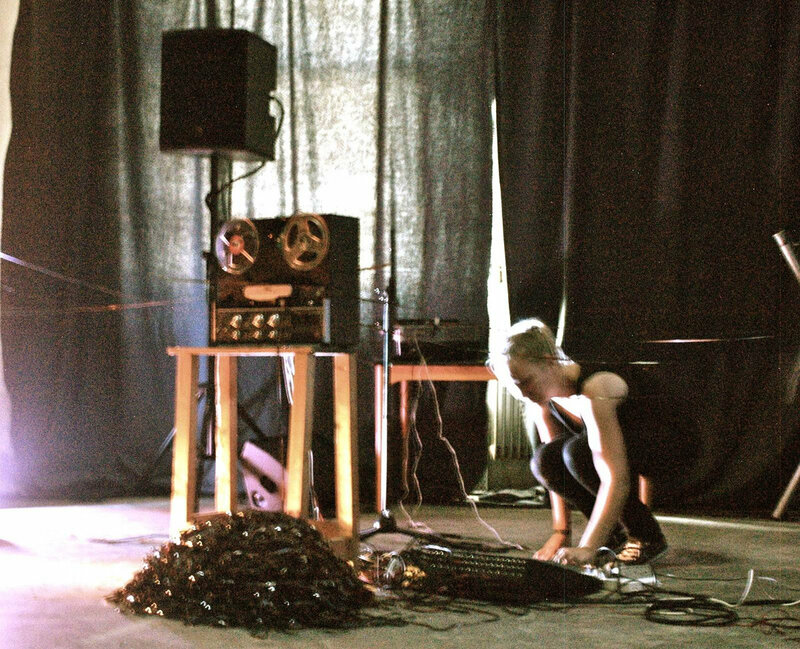 The recordings stems from concerts I have made at diverse places such as in a gallery, an old pram, and an deserted concrete building. Where does your interest in ‘pure sound’ come from, you think (instead of being interested in musical elements like melody, harmony, or rhythm)? I am actually interested in melody, harmony and rhythm. You may conceive the music as pure structure, but I actually feel there’s a lot of “classical” musical elements in the music. 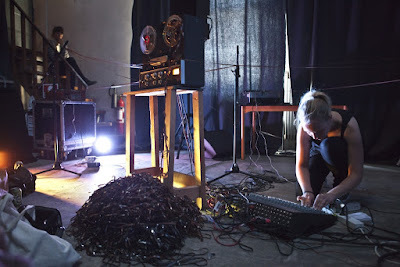 I think my music is always structured around some kind of sonic exploration of a given material (whether being organs, tapes, obsolete technology, instruments), however I am always interested in structuring it into a kind of narrative, reflecting my journey or meeting with the material. You’re currently studying sound art at the university of Aarhus. Does your study already have an influence on your records, you think? I am doing a practice based research project on sound, where I am investigating into how sound has been used to make scientific judgements on the ear. However, my organ pieces are not directly linked to this project (which is more concerned with audiometer, listening cures and mediated technologies such as hearing aids). However, I think generally I am really interested in exploring sound sources’effect on how we listen, or how we make sense out of sound. And I am interested in opening our ears to new ways of listening to known material.